I had a moment of clarity during my sabbatical week. How’re you? I’m back from my mini sabbatical week this week and have lots to share with you! For those of you who are new to my blog, welcome! 🙂 I take every 7th week off from my regular work to step back and do things I don’t normally get to do, like learning new skills and pursue my other creative passions. (You can learn more about where the idea came from here.) I write a blog post about my sabbatical week afterwards to share what I did with you. It’s helpful for me to reflect on my sabbatical, and it also helps me to hold myself accountable to actually take the regular time off! Since I’d just taken a few days off over the holidays, I wasn’t too much in need of relaxation/vegging out time. Instead, I focused my time and energy on learning, business planning, and organizing. Here is a few highlights of what I’ve done! It’s been almost 6 months since I quit my day job (hooray! ), and I’m now beginning to realize I need to tweak my strategy for my art business, Honeyberry Studios. My strategies have been to work hard, do more of what I’m good at, and put myself out there consistently and see what sticks. Yes, I’ve been getting exciting opportunities by doing these things, and my business is growing for sure. But I knew I needed a clear focus to take my business to the next level. Anyway, during our coaching session, she went right in to the heart of the matter: my business lacks focus. I sell physical products. I do commission work. I write a self-help blog. And now I’m starting a coaching practice! It was definitely an elephant in the room I was trying to ignore for a while. She suggested I pick one thing and focus on that first. And once that one thing starts to bring in enough income, then I can start to expand. I’d heard that message over and over from different sources before, but I was so close to everything I was doing and was in denial about it until then. But as I was hearing that from Cassie, it finally clicked with me. I was in the right place to really listen and understand that I needed to niche down to be more successful. Of course I had a mini panic to think I had to just pick one thing and go with it. The reason why I’ve been doing many things is because I’m good at them and like doing them! I’m sure many of you can understand the fear of just focusing on one thing as most creative people have more than one passion and talent… Am I gonna be bored? What if I choose a wrong thing to focus on? But then people won’t know I’m good at other things, too! Ahhhhh!! Whenever I’m faced with difficult situations, I usually freak out a little bit. Then I calm down and start processing more logically about what’s going on and figure out the next steps. For this situation, I freaked out thinking I needed to do a major course correction for my business, pre-mourning the loss of things I don’t get to pursue, and then began to feel hopeful that having a clear focus is going to help me be more successful. Cassie asked what I wanted to focus on. I thought for a minute. If I had to choose one thing, what would it be? I answered, it’d be working on my illustrated products. If I’m truly being honest with myself, commission/client work is not my first choice even though it helps with the cash flow the most. There is often a lot of back and forth with the client, and it takes a lot of energy to create something that meets their goals while accomplishing my vision for the project. It can be really stressful. I think part of the problem is that I’m not charging enough… But that’s another story! Going back to my preference to focus on products – although it’ll take longer to make a profit from selling products compared to doing commission work, and there is a lot of work involved in having a successful product based business, I’d much rather be directing my own creative vision and how my voice and values are reflected on what I provide for my customers. Just to clarify, and I was happy to hear this from Cassie, too, it doesn’t mean that I’ll quit everything else I’m doing now (i.g. blog, teaching, coaching etc). I’ll still keep my other ventures going on the side to continue to build a community and to bring in supplemental income. I just need to put most of my time and resources into building a successful product business this year. 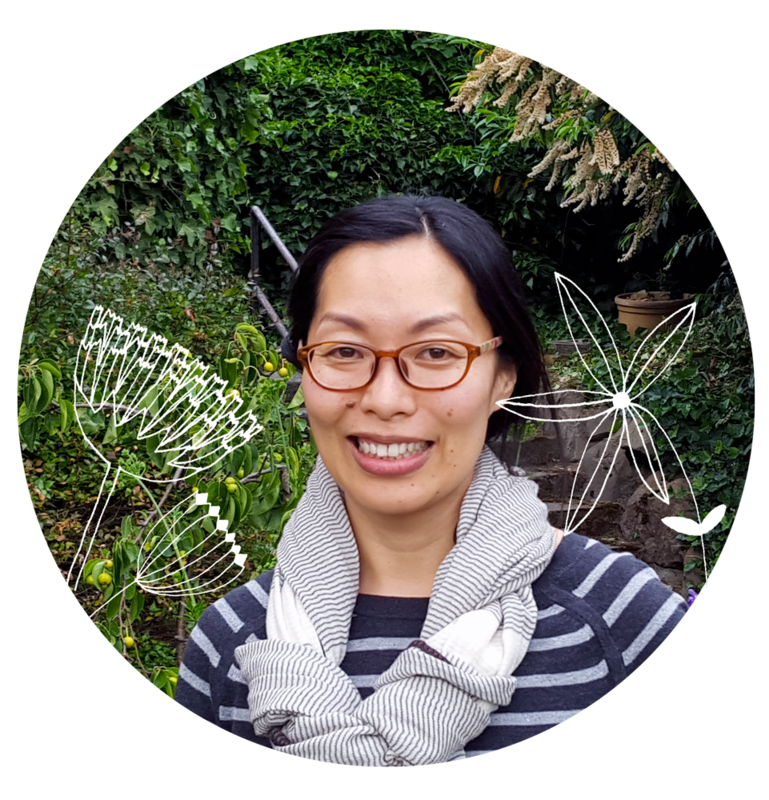 And when I say product business, I’m talking about growing my Etsy shop (e.g. greeting cards, art prints, and stationery), mostly! I’ll also be shifting the focus of this blog a little bit. I’ve been focused so much on providing contents to help other artists with creativity and motivation this past year. AND I’ll definitely continue to provide the same, helpful contents because that’s my passion, and I won’t be fulfilled if I let that go completely. The future of my blog is actually very exciting! 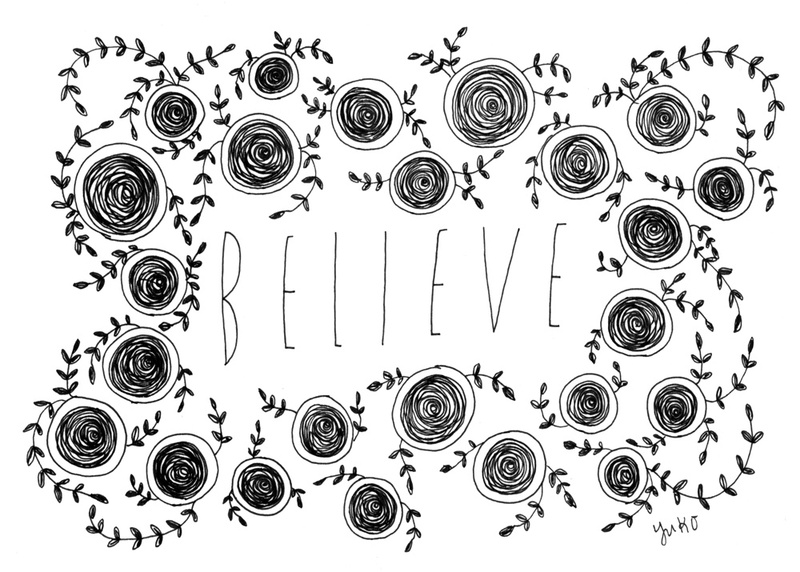 I’m envisioning my blog to become a channel to bring you even more creative inspirations in the coming year! You’ll definitely be seeing my posts more often, and I’ll be sharing more behind the scenes creative process, new products and services to inspire a creative lifestyle, and things I learn along the way! Another thing I did during my sabbatical week is to learn! I participated in a few really great learning opportunities. I participated in the Money Management for Creative Types webinar with Melanie Lockert of Dear Debt. I’m not bad with money and am generally frugal, but I’m not super comfortable with money, either. Numbers just don’t excite me. But this is one of the things I needed to have a better grasp on in order for me to grow my business, and the workshop was awesome! Melanie shared a ton of practical tips and tools on how to manage your finances and increase your income. I feel more confident about my money management skills now! As I mentioned earlier, I’d signed up for the Building a Better Business free one-year training with Maker Mentors. We receive one email every week for a year with assignments and challenges to help our creative business grow. I worked on the challenge from the first week, which was to create a business plan! The timing was perfect as I was recalibrating my business focus, so I spent quite a bit of time working on that. I still need to refine it, but it gave me a good place to start. OK, the universe does send you messages and nudge you in the right direction, doesn’t she? As soon as I had my conversation with Cassie about shifting my focus to product-based business, I saw a Facebook ad about this free video training about how to build a successful handmade business with Renae Christine. I immediately signed up and devoured her contents as I received her videos in 3 parts. The videos were short and sweet and packed full of helpful information!! I took a bunch of notes but need to go back many times for sure. I always feel energized and pumped after great trainings and webinars. Now off to put into practice what I’ve learned!! I confess. I’m not a very organized person. My physical space that is. Like crunching numbers, I’m just not excited about organizing stuff. I organize my working space every once in a while but it doesn’t stay clean for very long. I like to have things around where I can see, and it gets cluttered pretty quickly. I’m often envious of other people’s beautiful minimalist studio spaces I see on the internet. I kinda like having a little bit of clutter though (I get inspired by the little things I have!) and don’t think I’ll ever have a super clean studio. 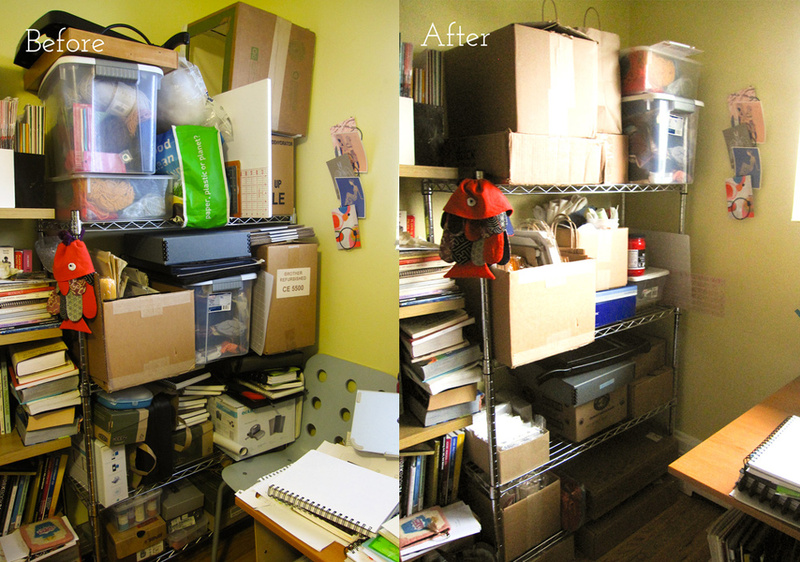 But my space had become less functional over time, and I recruited my husband Dave to help me with an office purge. Dave, unlike me, grew up in a very OCD household and gets energized about organizing things! Talk about a perfect match 🙂 So we scheduled a purge date during my sabbatical week and got to work. My ultimate goal was to organize my “art shelf” that is right by my desk in our shared home office. It was so packed, and things were kept in random places, and I often couldn’t find what I needed. We had stuff piled in front of the shelf, too, so it was very hard to get to things on the bottom two shelves. It was definitely not helping me to be creative! On Monday, we spent several hours going through everything on the shelf. Dave helped me to assess what I need to have on the shelf vs. what could be stored elsewhere. We reorganized our storage room to make room for extra supplies, threw some things away, and took the rest to Goodwill. Here is my before and after photo! OK, maybe it still doesn’t look totally organized :D, but believe me, it’s 100 times more functional! I want to get nicer bins and boxes for my tools and products eventually, but for now, this will do! Things are much more organized and easy to access, and I feel spacious. Breathe. There you have it! That’s what I did on my sabbatical week. As you can see, I did a lot of planning, learning, and organizing, which was just what I needed. Even though it may not seem like a relaxing week off, I’m really fired up and energized about the direction my business is taking this year! If it’s not written down, it didn’t happen. 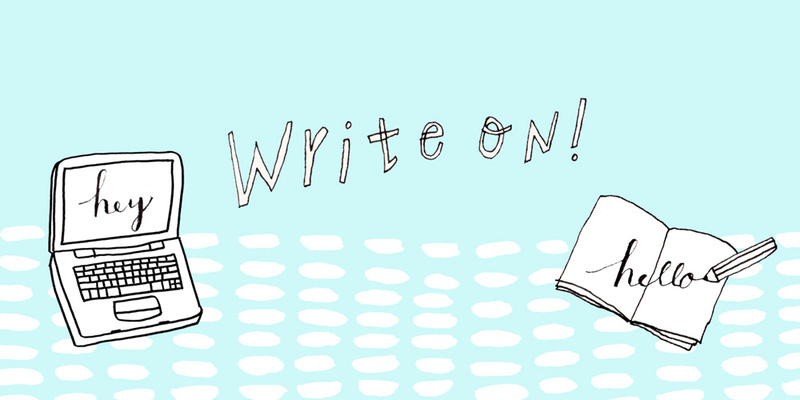 The title of today’s blog post is “If it’s not written down, it didn’t happen.” Have you heard of this saying before? I learned it when I was starting out my career in HR at my old day job. Basically, if supervisors aren’t diligently documenting employees’ performance issues, you have no leg to stand on if they get fired for bad performance and sue you or file for an unemployment. You can say “Well, we fired Yuko because she was doing a terrible job!” but if you can’t tell the judge or the employee any specifics, it’s not very helpful. But today, I’m not talking about HR best practices. I’m talking about the importance of documenting the steps you took to accomplish your goals. Have you ever had moments where someone asks you, “So what did you do today?” and you go, “Uh, I was really busy. I did stuff… but can’t remember what I did? ?” Trust me, I’ve been there. Especially at my day job because I was wearing multiple hats and was constantly multi-tasking (you know how fond of multi-tasking I am… NOT). By the end of the week I was like, where have I been? What did I really do? I was busy. I was doing stuff. But what did I actually accomplish?? Earlier this year at my day job, I started a career development program for employees and encouraged folks to start writing down what they’ve done each day to achieve their career goals. It’s a great way to keep track of your progress and also to show their supervisors what they’re accomplishing in their day-to-day. And I encouraged the supervisors to do the same and write down what their employees are doing well and where they’re struggling. It helps the employees see what they’ve been doing to reach their career goals and have the documentation to look back on when we meet for our goals check-ins. It provides supervisors cohesive overview of how their employees have been doing over time and helps identify their strengths and challenges. Not to mention a good back-up documentation if they ever have to let someone go because of a poor performance (Yikes!) or promote someone for exemplary performance (Yay!). Of course, this tool is very practical and useful for anyone who is pursuing their goals! 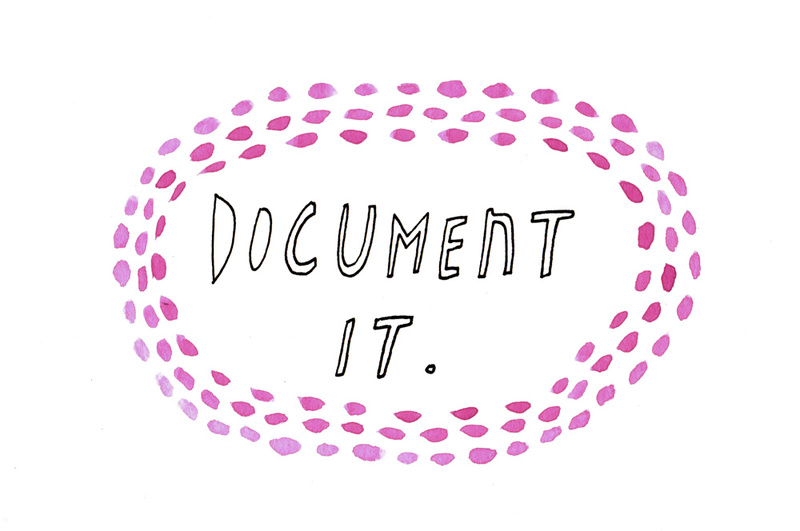 So, let me tell you how I use the documentation to stay motivated and focused on my goals. Back in March of this year, I started meeting with an accountability partner once a month. Accountability partner is someone you meet regularly to check in about goals and challenges. They listen, offer support and problem-solve with you if necessary, and you do the same for them. I’m fortunate to have two of them, which I’ll write more about in my future blog post. Anyway, in our meetings, we each set a few concrete goals to work on before the next meeting. And in the following meeting, we share how we did with our goals and set our next goals. Because I wanted to be able to reflect back on my experience as accurately as possible, I started writing down what I did around my goals every day in a little notebook. It’s nothing elaborate – I just write down dates and tasks I accomplished that day. Before our next meeting, I would review what I’ve done and report back the summary of my accomplishments and challenges. It makes our meetings a lot more efficient, and I don’t have to waste my precious brain space to hold all the details. People use different tools, including apps, to journal, but since I work on my computer all the time, I like using the physical notebook for taking notes and jotting down ideas. My notebooks! 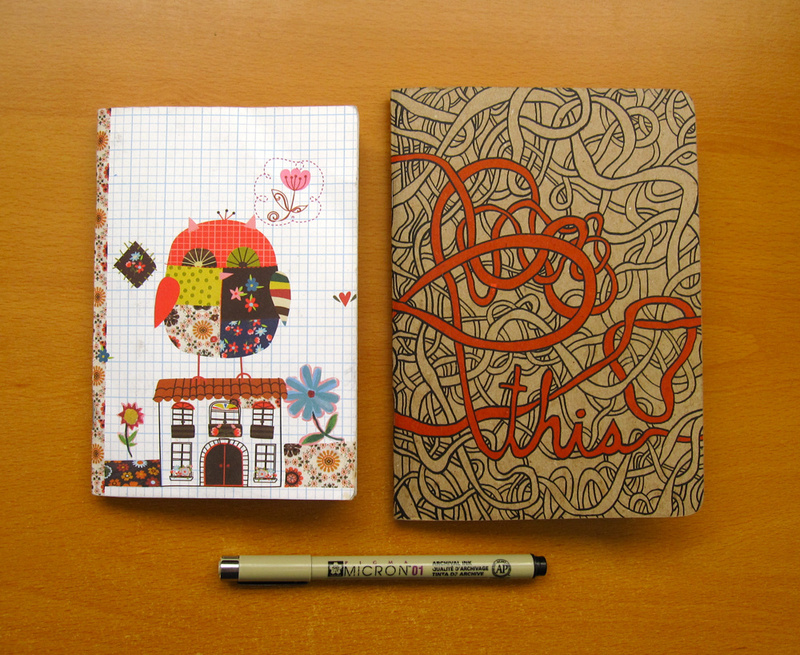 I use the little Ecojot notebook on the left (www.ecojot.com) for my daily documentation and my Lisa Congdon notebook on the right (www.lisacongdon.com) for ideas and future planning. I like to write them down as I go instead of waiting till the end of the day to do it. For instance, I got up this morning and finished a blog post, uploaded the title illustration, and scheduled the post on social media. So that’s what I wrote in my notebook. I like logging things as I go because chances are, I’ll forget to write them down or forget what I did! I’ve seen it happen many times to Dave because he sometimes batches his entries every few days and asks me if I remembered what he’s been doing! I suppose calendars could work fine for this purpose, too, but I don’t track everything on my calendar. Like for this morning, I would just put “blog” on my calendar but not all the details. Calendar, however, is helpful for tracking time. It’s interesting to see how much time a particular project takes. I’m not super conscious about it usually because I normally don’t finish things in one sitting. For example, when I’m writing a blog post, I start with a rough draft where I just let it come out of my head and start typing without worrying about grammar or structure. Then I’ll step away and work on something else for a while. I might come back to the post the next day and start editing. Usually I complete one blog post over 3 to 4 days. When I added up the hours, I learned it takes about 8 hours from start to finish, including creating the title illustration and scheduling posts on social media. I work very similarly when I’m creating an art piece, too. It helps to clear my head from one thing and be able to look at it with fresh eyes later. I use the same notebook for my accountability meetings and my daily log, so notes about my goals and challenges are all in one place. These notes are nice to review not only to remember what you’ve been doing but also to see how far you’ve come. Like I said before, I try not to compare myself to other people. It’s one thing to learn from other people, but once it turns into jealousy or competitiveness, it’s no longer helping you achieve your goal. Instead, compare yourself now to yourself 3 months ago. 6 months ago. 3 years ago. When you look at your work from 3 years ago and compare it to what you do now, you should be able to see how you’ve improved. With your daily documentation, you can now tell what you’ve done to get here. It’s interesting to look back on my notes now, though, because many of the goals I set and struggles I was having don’t seem nearly as challenging as they did then. For example, uploading all the portfolio pieces to a new licensing website seemed so daunting back in April. But since it’s been done for several months, I don’t even think about it. So when I have similar challenges now, I know that the actual hardest part is getting started. It doesn’t feel as scary because I’ve done it before, and it wasn’t as hard as I thought. As I write this, I’m realizing I need to start documenting “how” I do things too. I document the process when I work on client project so I can tell them how I ended up with the solution, but not so much for my day-to-day things. As I grow my business, I would probably be hiring some helping hands down the road, and it would be nice to be documenting my procedures now for training people later. Note to self! I like to celebrate small successes every day. As a creative business owner, I know there will never be a day when I’ll cross everything off my list. I also know that it can take years to grow your business, and you may not see any results for a long period of time. It can be depressing and discouraging at times. That’s why it’s so important to keep a documentation of the small progresses you make every day. When you do see results from your business, you’ll know how you got there and what you’ll need to keep doing to reach your dream. p.s. I have two art shows going for the month of October! Original works from my 365 Day Happiness Project will be on display and for sale at Common Ground Coffee & Cupcakes until the end of October (*Artist reception on Friday October 2, 6-9pm!) and my brand new watercolor abstract paintings will be on display and for sale at Geraldine’s Counter during the month of October as well. So why am I making a big deal out of publishing a weekly blog post? Well, these are a few reasons. 1. I want to get better at writing. 2. I’m holding myself accountable. When you start doing something new – especially when it’s something you’re not super excited about, like things I mentioned above, you tend to procrastinate. Especially when your inaction doesn’t really hurt anyone else. If I choose sleeping in over going to the gym, who cares, right? No, nobody really cares. But what if you belonged to an online group where you have to report your fitness progress to your friends on a regular basis? Sure, you could still skip going to the gym, but you may make your decisions about it differently. I’m a pretty disciplined person, but I was definitely procrastinating starting this weekly blog posts. Oh, I have all these other art projects I want to work on that are much more fun, and nobody knows I want to do a regular blog post yet, so…. PAUSE. Sometimes, in order for you to get started on something, you need to tell others that you’re doing it and by when you’re going to do it. It sure helped me with my 365 day “happiness is” project! I recently tried this method at my day job in starting a new career development program for employees, and it’s totally working! Win! 3. I want to help others who are in the same boat. One of the things I know about myself is I don’t like making mistakes, especially in public. It took a lot of courage to start sharing my artwork on the internet because I never thought my art was that good, and I would’ve been so hurt if a stranger criticized my work. Art is like a small piece of my heart and soul on paper. 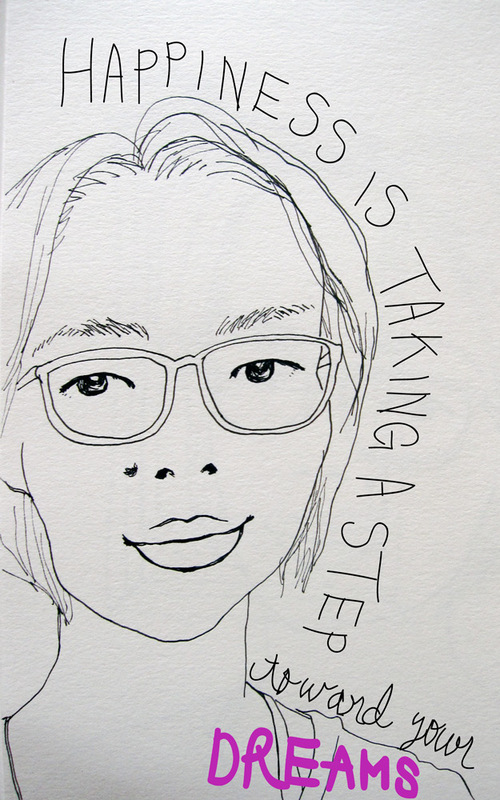 But I knew I had to get over the fear if I wanted to be a working artist someday. Doing my daily happiness post helped me a lot with getting over the fear. Seriously, when you do something every day for a year, even facing your fear gets old 🙂 It’s not that I’m not afraid of sharing my work because I still do. It’s more that I’m able to recognize the fear and insecurities, and they don’t keep me from going out of my comfort zone as much. I want to use my blog to share my experiences and tips to help someone else who may be going through similar things. I will be sharing mostly my experiences in art and creativity, but a lot of the themes will be relevant to anyone who wants to grow personally, too. Ongoing Topics – Updates on new products and works, my creative processes and tools I use, roundup of useful resources and inspirations, my life and interests etc. I decided to do weekly blog because it feels frequent enough so you don’t forget about me completely 🙂 and comfortable enough pace for me to commit to. I chose Sundays because I read somewhere that people tend to have more time and energy to read things that come in to your inbox on a Sunday. I also thrive in a more structured environment, so having a regular commitment is better for me anyway. I’m so grateful you will be on the receiving end of my weekly blog. You have been a really supportive community for me, and I hope I can give you something valuable in return! Speaking of value, I want to share a couple of inspirations that motivated me to focus on writing this year. Hope you find them helpful too! 1. Seanwes podcast: I’m sure I will be referring to this podcast from time to time in my future blog. But this show really changed my life and my mindset about being a creative entrepreneur. A really high quality podcast packed full of tangible tips! Can’t say enough good things! They talk about the importance of writing in this episode and this one. 2. Laura Belgray: Laura is a very successful copywriter and a funny lady. I love how honest and practical her advice is. You can download her “5 Secrets to Non-Sucky Copy” on her homepage for free! I’m subscribed to her e-newsletter, and it’s full of gems as well. Have a wonderful week 🙂 Talk to you soon! 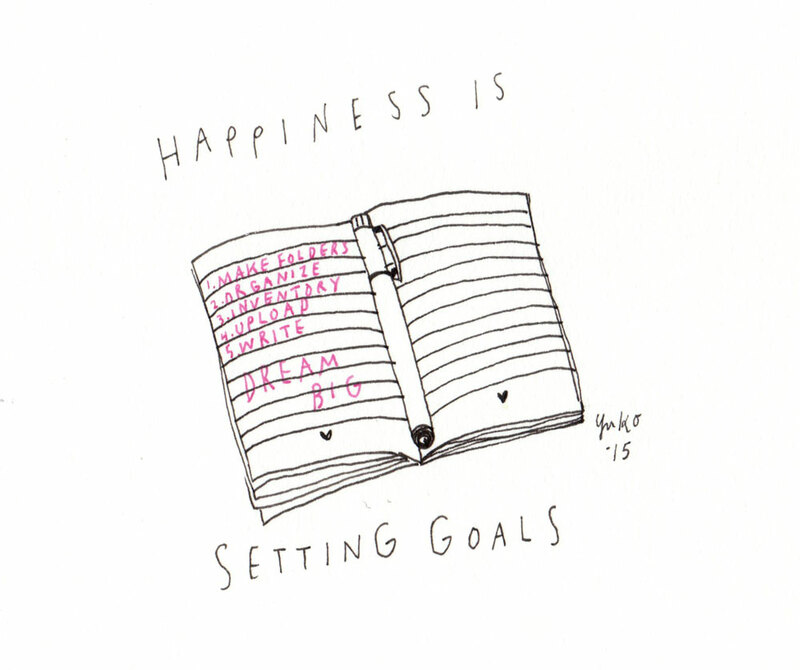 Day 324: Happiness is setting goals. Happiness is setting goals. My friend and I started meeting to set goals and support each other with our creative pursuits. I can tell it’s going to help me stay motivated!